As a leading National Sports Association, Singapore Rugby Union (SRU) is a prominent and influential Union in Asia rugby and Singapore sport. 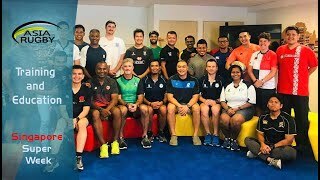 The core purpose of SRU is to provide efficient governance and effective leadership for all rugby activities in Singapore. Known for business partnerships and its youth development programmes, SRU aims to raise the profile of rugby locally. SRU manages both the National Men and Women 15s and 7s teams. 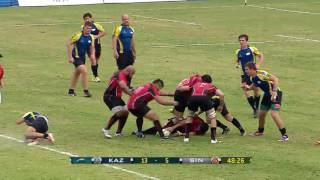 Supporting the National Teams is the Singapore Rugby Academy that develops players from 10 through 23 years old. The aim of the Rugby Academy is to introduce rugby to our community and to identify potential talents. The Rugby Academy engages around 1000 players annually by conducting regular coaching clinics and programs. A prominent, influential and respected Union in Asian rugby and Singapore sport.